Is it a cake or a meal? It's both! 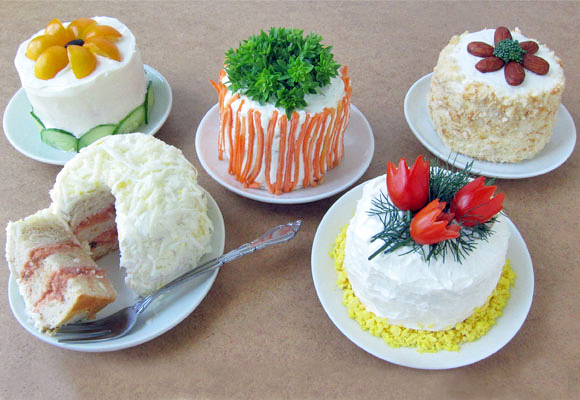 These sandwiches are actually disguised as mini cakes. They are made with store bought ingredients and Pillsbury biscuits. The "frosting" is either cream cheese or sour cream. These would be so cute for a shower or even April Fool's Day! Find the full tutorial at Rock UR Party by Tablespoon.